As I wrote earlier I am now touring the American South West. I escaped Los Angeles and headed for the desert, first stop Palm Springs of Douglas Coupland’s Generation X fame in search for Andy, Dag and Claire. I did not find them, perhaps because they are fictional, perhaps because they have escaped this present day Palm Springs that has become a holiday resort. 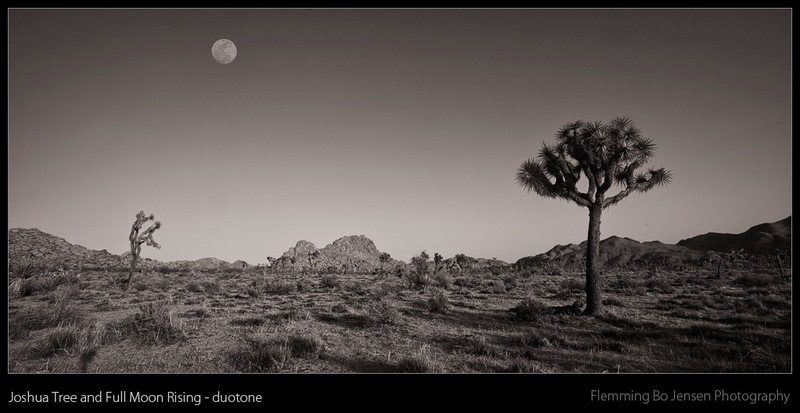 But a daily 40 miles drive offered some great landscapes at Joshua Tree National Park. Joshua is an otherworldly desert with the peculiar Joshua Trees and many big rocks placed all over the landscapes like someone was throwing large dices. This is a work in progress, I might re-process this. Duotone I find works so well with these images from Joshua, lending them an even more surreal otherworldly quality. The moon you ask. It is of course a double exposure, no other way to capture it. 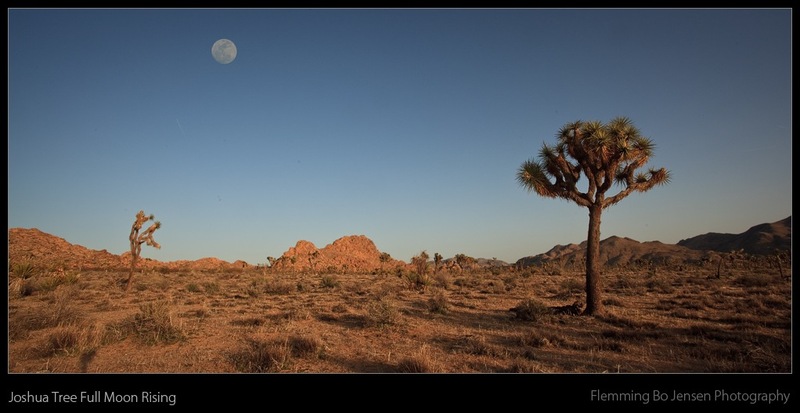 17mm wide angle for the landscape, 400mm zoom for the moon, Photoshop for the blending. Moon might be a tad too large here actually, but I am only using this technique to replicate what I saw. The moon was exactly there at sunset and roughly this size using the roughly 50mm lens built into our eyes. I could drop this moon into any shot from Joshua and no one would know – but I would know. I would find it cheating a bit. I am presently in Yuma, Arizona and heading for the Organ Pipe Cactus National Park. After that, New Mexico and then back into Northern Arizona later this month. I cannot stand cold weather (and by now that basically means anything non-tropical), heck even down here near Mexico it isn’t very warm compared to Malaysia, so I am staying South in the desert so far until the North heats up! Los Angeles is not known for the air quality and as you can see it is extremely hazy and smoggy, the haze picking up all the orange light and last remaining bit of sunlight. Unfortunately it also really blurs the city, evident in the original image. It is somewhat fun to experience Los Angeles for a few days. Almost every street name, every location reminds you of a movie or TV show, especially at night where I felt like I was walking around in a Michael Mann movie (Heat being one of my favourite movies). I am no fan of LA, not surprisingly as I really don’t like any big cities. Hollywood Boulevard is, not surprising at all, touristy around the Kodak Theatre area but it is surprisingly trashy. Not glamourous at all. The view of LA from Griffith IS impressive, like a planet of light. The amount of energy that goes into lighting up this place is hard to ignore though as I stand at Griffith looking out at this planet of a city. Well, if only a few spaceships would land then the energy would be well spent. I am on the road now and happy to have left LA. Oh while we are on the subject of Star Wars, driving out of LA on the walled 6 lane mega highways reminded me of flying in the trenches of the Death Star. I am now in my 5th month of travelling and suddenly find myself in Los Angeles! I was in Kuala Lumpur and really needed a new plan and continent. Since Malaysia Airlines fly direct KL to LA it seemed like the thing to do! After 17 hours of flying (with a short stopover in Taiwan) and crossing the dateline I took off Monday afternoon in Kuala Lumpur and landed here Monday evening. Longest Monday ever! There is in reality a 15 hour time difference, something which my body is not agreeing with resulting in a jetlag like no other. I sleep all day and am awake all night. A US roadtrip has been a dream of mine for a long time, and it begins Thursday as I leave Los Angeles behind and take off for the Mojave desert and Joshua Tree National Park. From there I shall explore California, New Mexico, Utah and Arizona. At least. Or perhaps I should say hopefully. Australia was insanely expensive but this is looking worse! I may need to rob a few banks along the way, Dillinger style. Hey it is for a good cause! Much more to come as I get this USA show on the road. I also have in mind a bit of an update on the life of a ‘nomadic’ photographer. Stay tuned. No words today. Not at all in the mood. 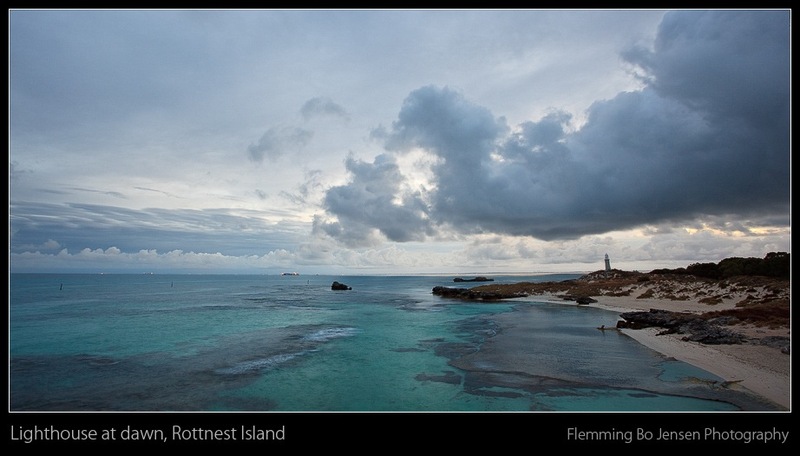 But an image of a fantastic afternoon at Wyadup Rocks, Western Australia. 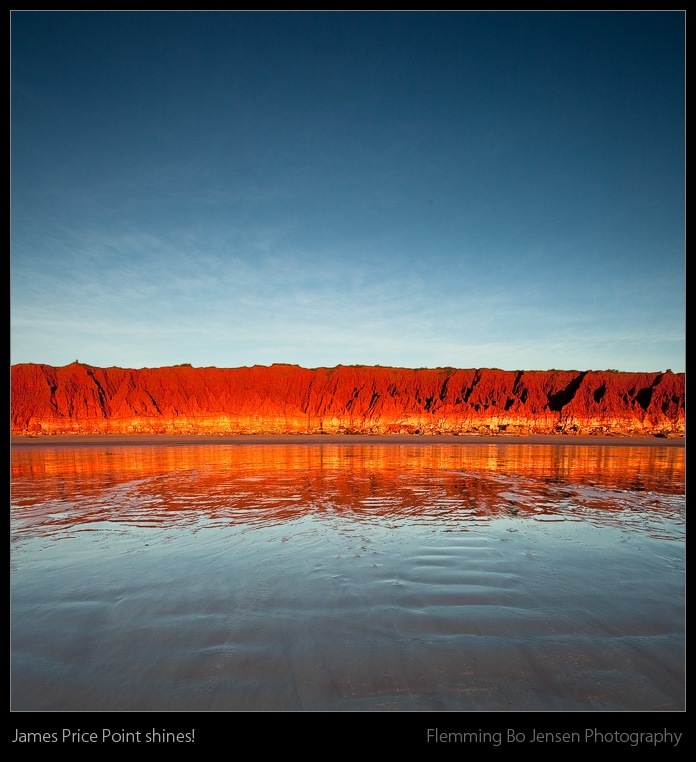 Last week in Broome, Western Australia, I had the pleasure of meeting up with Nigel Gaunt of Red Dirt Photography. In his 4WD we drove one hour North of Broome on a great orange outback dirt road taking us to the beautiful James Price Point, home of untouched beautiful coastline with deep ochre red rocks. And not a soul anywhere, well actually it was quite busy today as 3 other people was in a boat fishing! 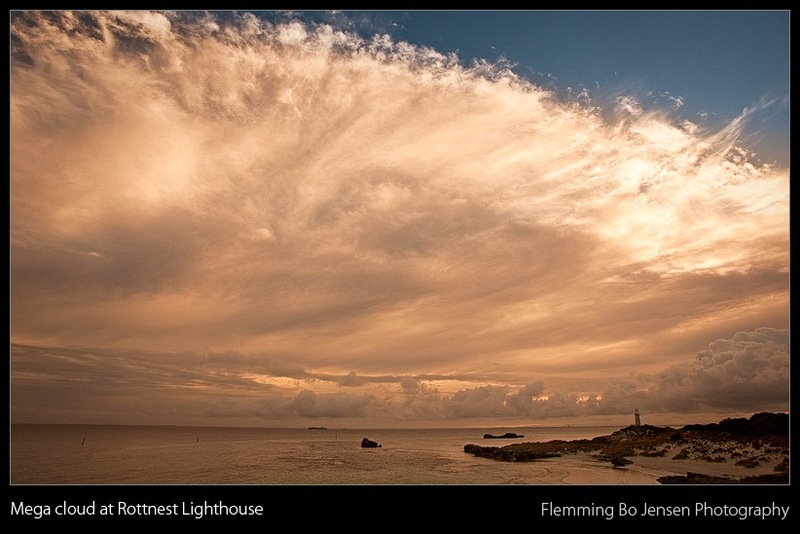 I was lucky to visit this beautiful place last year as well, and get some great shots at high tide. This time we caught James Price Point at low tide resulting in some brilliant reflections and the red rocks glowing alive at sunset. Nigel loves this place and I think he really considers it his spiritual home, it is a special and peaceful place that can offer a slice of magic and I agree with Nigel that James Price Point is truly special. This is just a single image cropped, looking at it now I sort of wished I shot this stitched to get more pixels. I was in a hurry though, as the good light on the rocks fades so quickly and it is a race against time to capture a few images let alone stitched panos! I think I prefer James Price Point at high tide. Although the reflections at low tide are fantastic, high tides offers action with large waves beating against the coast; a terrific contrast to the peaceful rocks. A few weeks ago me and my friend Signe had the pleasure of being invited aboard True North Mark’s big and beautiful private boat for a brilliant weekend at Rottnest Island with Mark and friends. A huge thanks to Mark for having us along and Brett, Greg and Jordan for outstanding company and great fun. We toured the whole island, we shot some photos and had a wicked and unreal time (using a bit of the surfer slang we learned). We also went snorkling twice, for hours, and this was a huge thing for me, only the second time ever I have been snorkling. Swam a long way and saw beautiful reefs and absolutely loved it. Wetsuit experience was nice, those things work really well at keeping you warm and it is a somewhat funky feeling against the skin too. First day I did not have one and I think my lips were blue for hours after becoming seriously cold! It looked nice as well when the sun peaked up over the horizon but this is more dramatic. Quiet calm dawn with gorgeous big clouds. Cheers Mark for a brilliant weekend, thanks for showing us “your” island!